Superbly maintained example of the famous Fairline Phantom 50, fully loaded and highly recommended. She has comfortable accommodation for 6 guests in 3 cabins with the master cabin en-suite, plus spacious flybridge and cockpit areas for entertaining. Ideal opportunity. 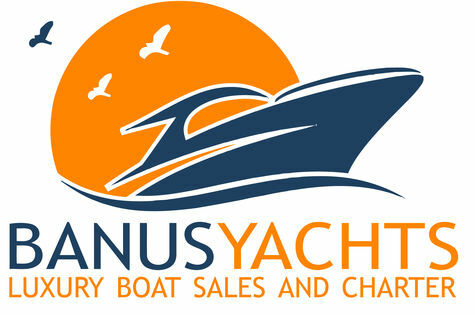 Banus Yachts (previously known as The Brokerage Division) opened its doors for the 2016 nautical season operating from our offices in Puerto Banus, on the Spanish Costa del Sol. We pride ourselves in providing a professional and comprehensive International brokerage service, with an ever increasing client base, both buyers and sellers, from all over the world. We have strong relationships with a large number of other marine professionals and send regular brokerage lists to an ever increasing list of co-brokers Worldwide. As well as our day to day brokerage activity we also provide after-sales services to our clients such as guardianage, berth sales and rentals, crew placement, deliveries, yacht management and bespoke packages as per the clients requirements. We pride ourselves at providing the best service for our clients and for this reason we have a dedicated service and after sales department. The burden of having to remember to arrange lift outs, bottom cleans, antifoul, anodes, hull, shaft, rudder, props and through hull fittings checks along with main engine and generator services, fire extinguisher and life raft service etc will all be carried out by us along with taking the boat round to the yard and prepping her. After sales and warranty is looked after in a professional way so that owners do not encounter problems or bad experiences.